Optical crystal curve award SY2063. 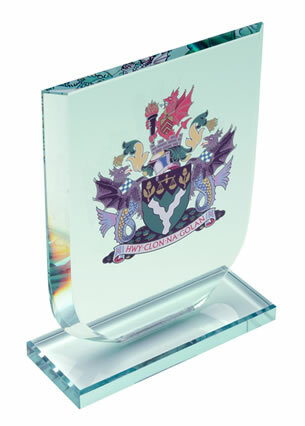 A contemporary glass awards plaque in an elegant curve design, 5in tall and offered here with engraving and/or colour print options. Perfect as corporate gifts or recognition awards. These contemporary crystal awards combine a clean and elegant design with a crisp and immaculate finish, creating an award that is worthy of a wide range of achievements and presentation events. 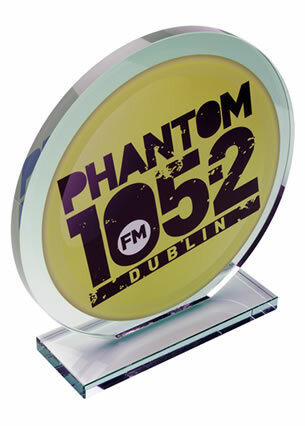 Hand made in flawless optical crystal, they feature a free-standing award with a smooth, curved design. 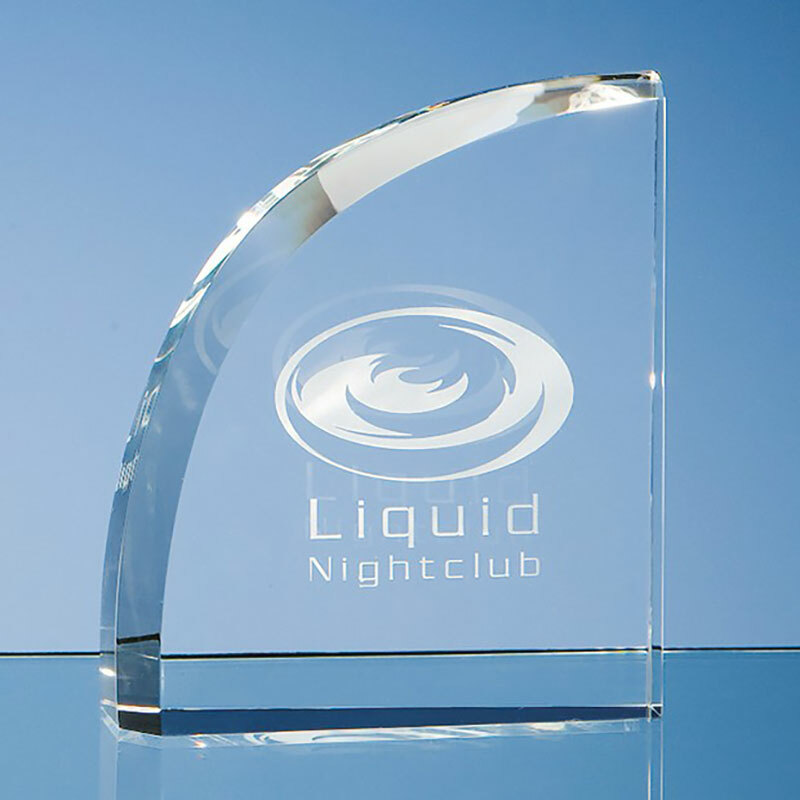 The flat front of the plaque is ideal for customising with event or achievement details, and they are offered here with engraving and/or colour print options. 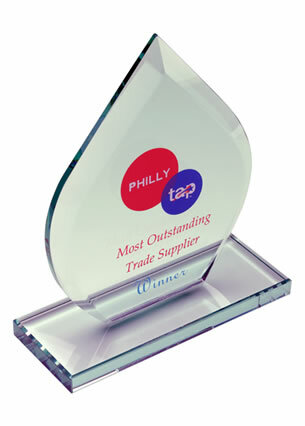 They stand 5in tall and each crystal curve award is supplied with a black foam-lined presentation box.